On March 21, we will celebrate World Down Syndrome Day. This is a day to create global awareness for people who rock an extra chromosome. We want to show the world how valuable their lives are and how they are more alike than different! "We're the Job family - mom, dad, Annicka, Jericho, Liam, and Zoey! A little bit about us: we're a little crazy, we laugh a lot, and we love big! In January 2010 Zoey (our fourth biological child) entered the world, complete with a broken heart and an extra chromosome. 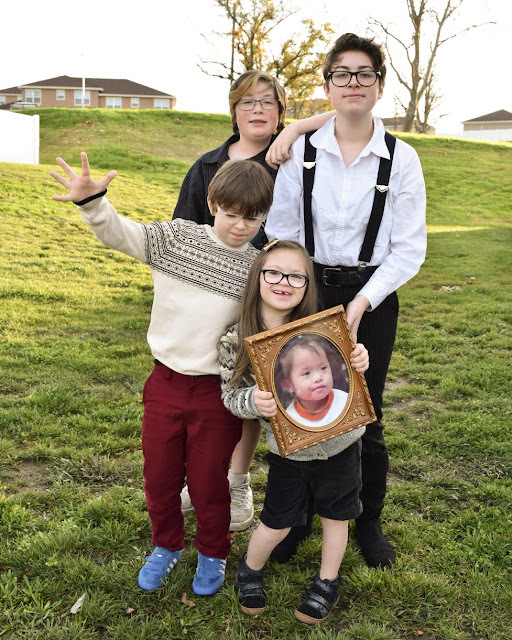 (She had a congenital heart defect and has Down syndrome.) Parenting her has been life changing in ways we never could have imagined! We get to see the world through her eyes, and let me tell you - the view is amazing! Having a child with Down syndrome has opened our eyes and our hearts ... it's been an absolute blessing! For years we have talked about adoption, always thinking it would be a part of our lives "some day". That day came sooner than expected, when one day in November I saw sweet "Angel" on Reece's Rainbow ... I can't quite explain it, but I knew immediately that I was her mama! "Angel" (or "Little sister", as we affectionately call her - for now) also has Down syndrome and a congenital heart defect! It has been incredible to see God's hand over this journey. He was working on this before we realized, but looking back we can see it. He put some pieces together ahead of time. He opened eyes and hearts. He provided peace as we grappled with how we would come up with the finances to bring our girl home to us, her family! It was a leap of faith, we knew we needed to just jump, so we did! What a beautiful journey it has become, already we have been blown away with support of all kinds! Prayers lifted for us, many rallying behind us with love and excitement, participation in our fundraisers, monetary donations! We are climbing that mountain. The big, scary financial mountain! There will be stumbles, perhaps even falls - but we're halfway and that's astounding! We still don't know how all the finances are going to come together, but we are trusting God that everything will fall into place!" The Job family has been working very hard putting together online auctions and other fundraisers to help bring their daughter home. This month we would like to support them and try to help lift some of that financial burden. 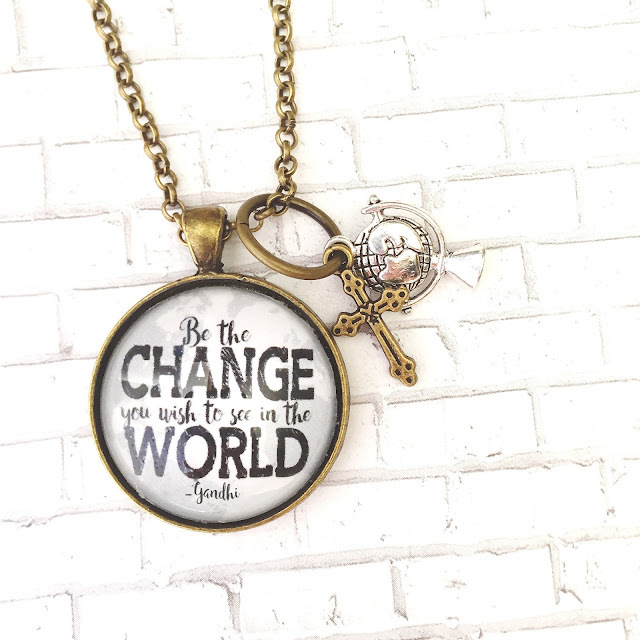 We have just added this "Be the Change You Wish to See in the World." necklace to the shop and from now til the end of March, half of the proceeds from this necklace will be donated to the Jobs. This family truly is being the change, and you can too by supporting them! So head on over now and get yours! You can also visit their daughter's page on Reece's Rainbow to find out more and donate extra. Thank you so much for your support! !